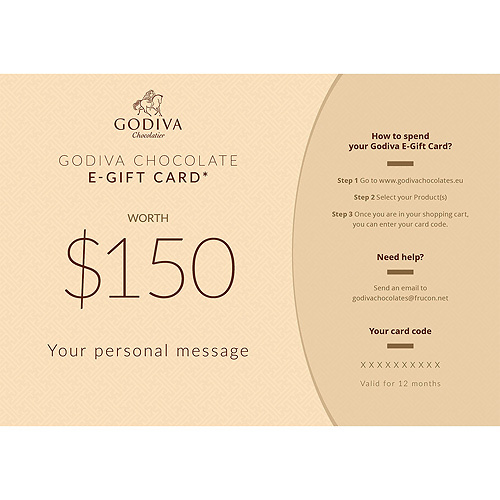 The E-Gift Card is the best way to make your family, friends, colleagues and business partners enjoy Godiva’s ultimate chocolate experience. It allows to choose for a value of 150$ among Godiva’s luxury Belgian pralines, truffles, biscuits, gems, bars and tablets. *E-Gift Card available for 12 months only on Godiva Online Store. The e-gift card will be sent to the recipient via e-mail. In this e-mail, there will be a code to shop on our online store.